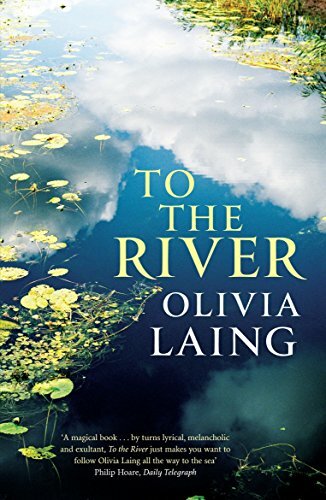 To the River by Olivia Laing is about a journey along the length of the River Ouse in Sussex. The Ouse is of course the river that Virginia Woolf drowned herself in in 1941. I believe Laing wrote that the Ouse is 42 miles long, but not all of it is accessible by walkers. I wanted to know exactly how long she had walked but perhaps she never worked it out. I don’t know what I really expected of this book but I found it to be a bit of a disappointment. I began by enjoying the meandering of the author’s mind, never knowing which subject might come up next. There’s geography and history, odd snippets of information such as that “the silver-leaved tormentil can both stem the flow of blood and dye leather red.” She carried out her walk during mid-summer so the fields were full of wild flowers and she wrote multiple lists of flowers that she had seen, which is fine if you know the flowers. Some more in-depth descriptions would have been useful for those who aren’t so well-versed in wild flowers. She wrote about The Piltdown Forgery, Shakespeare, Alice in Wonderland, The Wind in the Willows – all sorts, she’s definitely eclectic, but ultimately for me – as a person who loves rivers – there just wasn’t enough in it about the Ouse. Also the author felt the need to tell us about the dead animals that she stumbled across and even sought out (by smell) along the way – bizarre. The reason for Laing embarking on this project was her reaction to the end of a relationship and thoughts of Matthew kept popping up. Apparently neither of them could agree to live outwith their own counties. Eventually Matthew went back to his beloved Yorkshire, but really it would have been better if he had never made an appearance in the book as it all seemed rather pathetic, with the author weeping down the phone to him which must have made him think that he had made a good move.